The phrase “liver pain” is a misnomer of sorts: The liver itself doesn’t contain nerve endings. The surrounding tissue, though, does, and pain in that area could signal a liver disease. 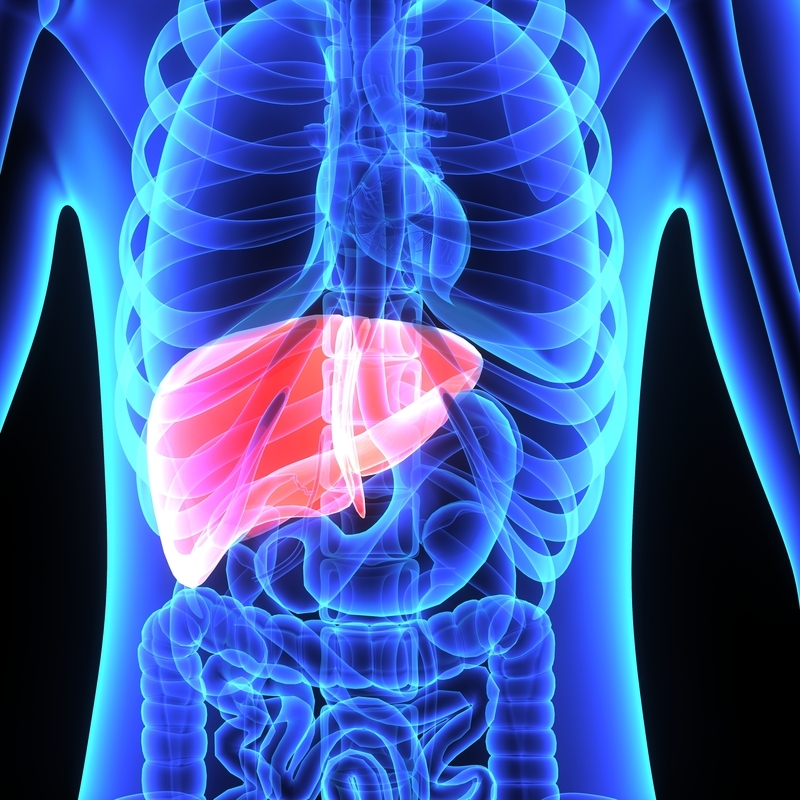 Weighing in at around 3 pounds, the liver is the body’s second-largest organ; only the skin is larger and heavier. The liver performs a number of essential functions related to digestion, metabolism, immunity, and the storage of nutrients within the body. But can you feel pain in your liver? The organ doesn't have nerve endings, but pain in the tissue surrounding it may signal health issues. The liver doesn’t actually contain nerves, so the organ itself can’t feel pain. Even so, the sensation of liver pain can occur because the layer of tissue that surrounds the organ—it’s called Glisson’s Capsule—does contain nerves. Any diseases affecting the liver that increase its size can result in what feels like liver pain, as the enlarged liver presses on its outer capsule. Most conditions that cause what feels like liver pain can affect liver function—and this can have serious ramifications for your health, since the liver performs many functions. It manufactures essential proteins, metabolizes and stores fats and carbohydrates that provide us with energy, and secretes bile that aids in the breakdown of fats and promotes absorption of fat-soluble vitamins (vitamins A, D, E and K). The liver also functions as a “waste treatment plant” by removing waste products produced by your body and detoxifying alcohol, certain drugs, and environmental toxins. So if your liver isn’t functioning properly, that perceived liver pain isn’t the only result. You also may not get adequate nutrition even if your diet is healthy; your body may not produce enough energy to function well; and you may have potentially harmful substances in your bloodstream that are being carried throughout your body. Liver Disease: How Common Is It? According to the American Liver Foundation, about 30 million Americans have some form of liver disease. The mechanism triggering most types of liver disease is essentially the same: Long-standing inflammation of the liver leads to progressive scarring that impairs liver function. The most common underlying causes of liver diseases that result in liver pain include alcohol and excess weight. Excessive alcohol intake is probably the most well known cause of cirrhosis, a condition in which the liver hardens and becomes smaller. Being overweight or obese increases the risk for non-alcoholic fatty liver disease (NAFLD), in which fat accumulates in the liver. Over time, this causes inflammation that may progress to cirrhosis, which is permanent scarring of the liver. 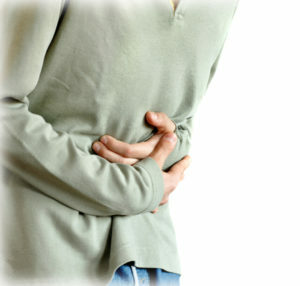 Another major cause for liver disease that also can result in liver pain is hepatitis, which manifests as three variants: hepatitis A, hepatitis B, and hepatitis C.
Hepatitis A is generally contracted via contaminated food or water, or from close contact with someone who is already infected. It is primarily an acute infection that generally does not become chronic—there is no specific treatment, and most people who contract it recover with no liver damage. Hepatitis B is transmitted through blood and/or sexual relations, and can become chronic, resulting in cirrhosis, liver failure, and/or liver cancer. Most people infected with hepatitis B as adults recover fully, but a recent study (published in Alimentary Pharmacology & Therapeutics, July 1, 2016) suggests that only 1.2 percent of people who contract it ever clear the virus completely from their bodies. “This is further proof that our current standard therapies—for which viral suppression rather than elimination are the goal—may not suffice, and that more research should be dedicated to therapeutics that help achieve viral cure,” says one of the study’s senior authors, Mindie Nguyen, MD, Associate Professor of Medicine at Stanford University Medical Center. Like the B variant, hepatitis C is transmitted through blood and/or sexual relations. It is the most serious of the hepatitis viruses because it can go undetected for decades, meaning that liver damage is usually advanced by the time the disease is diagnosed. Studies suggest foods emphasized in a Mediterranean-style diet may help reduce liver fat, helping us to prevent fatty liver disease. This dietary pattern focuses on whole and minimally processed foods, including vegetables, fruits, legumes, whole grains, and nuts. It also includes moderate amounts of cheese, yogurt, and omega-3 rich fish, such as salmon and herring, while limiting red meat. Red wine is consumed in moderation with meals, if desired, and olive oil is the main source of fat. Research suggests that unrefined oils, such as extra virgin olive oil, may carry additional anti-inflammatory benefits in the liver due to their high polyphenol content. Similarly, drinking coffee (2 cups per day), might be protective against fatty liver, which may be partly due to the polyphenols and other antioxidants in it, as well as the caffeine. Liver disease that leads to liver pain also can occur if you have a bile duct obstruction, which prevents bile (a liquid produced in the liver that aids with digestion) from leaving the liver, and hemochromatosis, which causes excess iron to be stored in your liver and other organs. Since the liver is capable of regenerating itself, a healthy lifestyle will improve its function and help ease liver pain, unless liver disease is at an advanced stage. Some liver diseases are treated with medications, but in the case of advanced liver disease, a transplant may be required. Weight loss and exercise can help prevent liver disease, as well as keep it from progressing if you have it. And avoid excess alcohol consumption—if you imbibe, limit yourself to no more than one drink per day. advanced liver disease, alcohol, alcohol consumption, anti inflammatory, anti inflammatory benefits, antioxidants, caffeine, cancer, cancer symptoms, cirrhosis, coffee, diet, digestion, environmental toxins, excessive alcohol intake, exercise, fatty liver, food, health, healthy eating, healthy lifestyle, hepatitis, infection, inflammation, iron, Jaundice, liver cancer, liver cancer symptoms, liver disease, liver pain, mediterranean style diet, nutrition, nuts, omega 3, pain, polyphenols, processed foods, skin, toxins, vegetables, virus, vitamins, what s ailing you, whole grains, wine, yogurt.